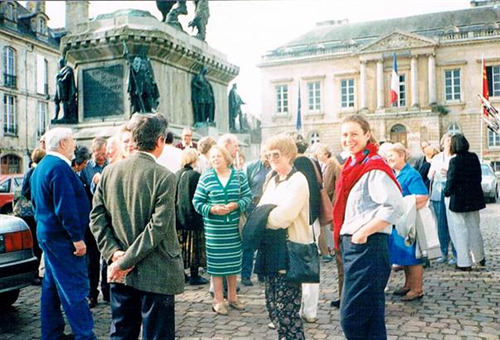 The Henley and Falaise Twinning Association (the HFTA) was created in 1973 when Henley-on-Thames linked up with Falaise in Normandy in order to foster friendship between the two communities and to enable each others’ members and their families to participate in and appreciate their respective ways of life. Every other year, usually in May, the HFTA organizes a visit to Falaise and our Falaise friends visit Henley in the intervening years. Transport is by coach and ferry and accommodation is with the local hosts. 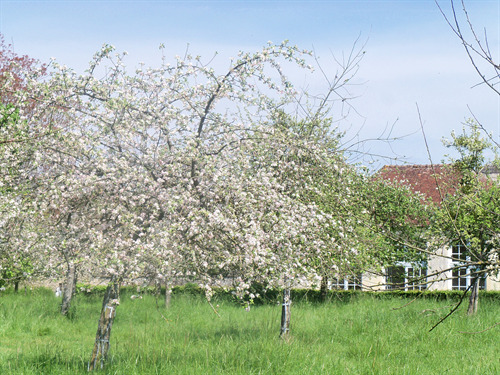 On a typical weekend visit to Falaise, our hosts arrange group outings, for example, to a cider-making farm or to a local chateau. During their 2016 visit, the Henley guests were treated to a visit of Monet’s Gardens in Giverny. 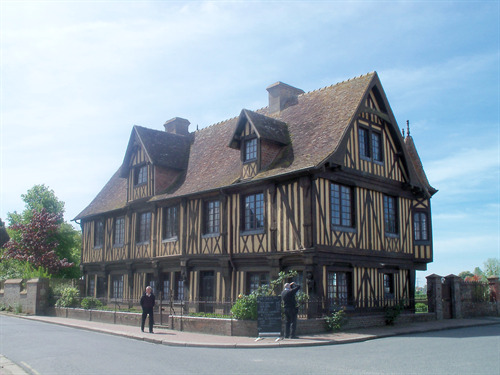 The HFTA also assists other Henley organisations in cultural and sporting visits to Falaise. Past exchanges have included the Henley Symphony Orchestra, the Henley Firemen, the Henley Operatic and Dramatic Society, the Henley Boys’ Football Club, the Henley and Goring Ramblers and Gillotts School. Recently, runners came from Falaise to compete in the Henley Half Marathon and the Falaise choir joined with Henley’s choirs and the Henley Symphony Orchestra to perform in a magnificent summer concert. When our French friends come to Henley, they stay with HFTA members and group visits are arranged to places of interest locally and in London. The highlight of their visit is a dinner, usually with lively entertainment provided. During the rest of the year, Henley-based HFTA activities include the showing of French films, talks on some aspect of French life, petanque competitions, an Autumn garden party and an AGM with dinner. 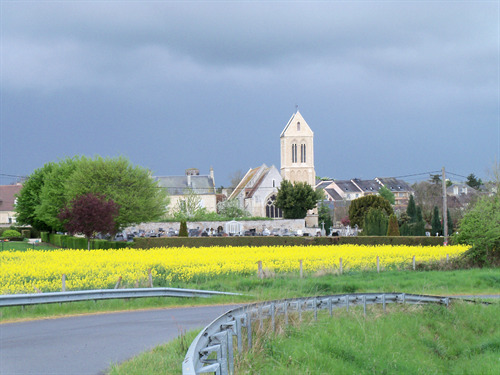 It lies some 19 miles (30 km) southeast of the channel port of Caen. To the east, lies the picturesque Pays d’Auge with its half-timbered manor houses and cider apple orchards, while to the west, is the scenic Suisse Normande area. 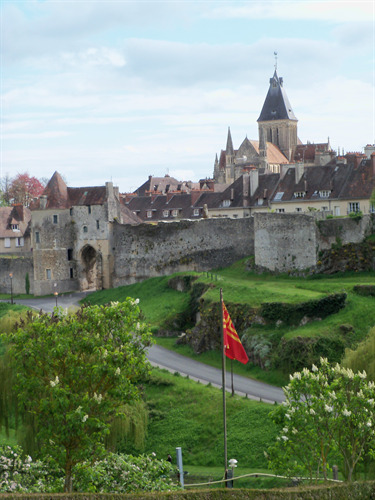 William the Conqueror was born in Falaise’s Norman castle in 1027. 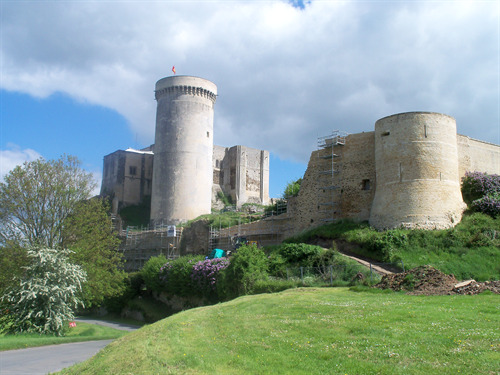 The castle, which dominates the old town, has survived many wars including the fierce fighting that took place in the Falaise Pocket where, in August 1944, two German armies were encircled and defeated by the Allies. In addition to its castle, Falaise boasts four magnificent churches, one of which dates from the 11th century, several ancient manor houses and a 13th century town-hall. In 2016, Falaise opened a new museum called the “Memorial to Civilians in the War”. It depicts the experience of civilians in the Second World War and is the first museum of its kind in Europe.